Please tell us about your company’s undertakings. President Miyazawa: Since our establishment in 1964, we have been working in metal processing. Currently, we are mainly working on casting processing of metals like aluminum, as well as three-dimensional NC processing. 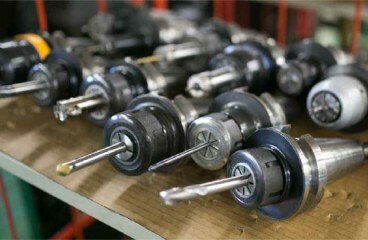 We have a multiple general purpose lathes, NC lathes as well as machining centers in our arsenal. 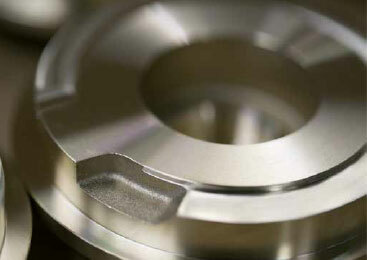 From casting system planning, producing wood and metal molds, and cutting processing, we do it all. We also do CAD/CAM modeling in-house. For production of casts, we work with a plant that possesses a very high level of technology. 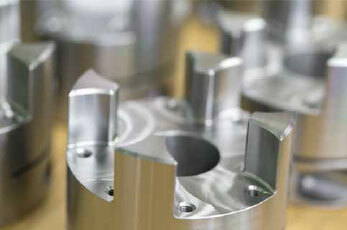 We do the production and processing of metal and wood molds ourselves. You listed speed as one of your company’s strengths earlier. processing as a larger whole, we can offer much quicker delivery times than companies that work on these processes individually. Possessing and running multiple units of cutting edge equipment is a reason for our speed as well. What types of metal do you handle most? President Miyazawa: There is an increased amount of work in aluminum cast products. Recently we have been handling a lot of industrial robot arms and other industrial products. For industrial robots, because there are many advances in creating faster and more energy efficient equipment, the trend is for each individual part to be lighter. Aluminum is favored because it is lighter than iron and stronger than plastics, making it perfect to address the needs; thin, light, and strong. There is a strong demand for lighter parts in the electronics of hybrid cars. Especially in cars, I see an increase in requests for processing resulting in thinner and increasingly complex shaped parts. 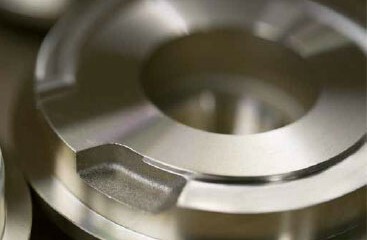 What kind of steps do you take when processing these thin and complex shaped parts? President Miyazawa: We have three inhouse designers. Upon receiving an order from a client, instead of just taking the plans and going straight to molding and processing, we first check for points that may pose problems in production, and make suggestions on the form. At this time, we don’t alter the shape in order to make it easy to produce. We utilize the client’s design, requests, and direction, only making modifications that are absolutely necessary. We make suggestions to create the most effective product. What are the reasons that you go over the directions and check the plans in such detail before going into the processing stage? President Miyazawa: Quicker delivery time, lower costs, and improved quality product. Wouldn’t such detailed planning or reviews of the designs result in more hours, resulting in higher costs? President Miyazawa: Instead of thinking in terms of a one time delivery time or cost, please consider the delivery time and cost of projects that take into account larger scale production. When you look at companies, especially overseas, you see a lot of businesses that manufacture exactly by the plan without any re-examining. This may give the illusion of quicker delivery time, but I hear of many cases where the result is setbacks in mass production, or having to redesign afterwards to address issues in products which couldn’t meet their full potential. It is very important when trying to save on time and costs to identify problems at the beginning stages, and eliminate negative factors that are only visible to the processing professional’s eye. I’ve heard that on some occasions during the design review process, you may take a client’s 3D plan and converted to 2D. President Miyazawa: We have been seeing an increased amount of complex three-dimensional shapes recently. Viewing a client’s 3D plans for, say, the cutting of an elliptical-shaped part with a row of variable pitch openings, may leave some gaps when trying to understand the exact path of the blade. 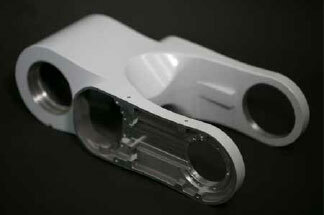 In such a case, we will convert the plans to 2D, and will always optimize the processing steps and shape. This allows us to review the movement of the blades during production, and allows us to find sections that are too thin, or sections with dimples in order to propose solutions to the client. A complex shape is no reason to input data into a machine without deconstructing the details. We always break the steps down in order to understand each movement. We never trust something to a machine that we ourselves don’t fully understand. This is very important. Are there any other methods you utilize to achieve faster delivery and lower costs? President Miyazawa: Selecting the right jigs and tools used in the cutting process is a very important factor. We make sure everything is perfect in this area. When the jigs and tools used to secure the product aren’t right, the grip on the materials may be weak, leading to deformation or errors. Deformations or products that aren’t 100% true to the design, even when using a fully automated state of the art machine in processing, is a result of using the wrong tools. When using a highly precise machine, properly securing the product is a very important element. 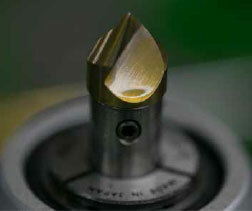 Also, selecting the appropriate blade for the material or the shape is also a major factor in the final product. Our strength also stems from our accumulation of such know how. 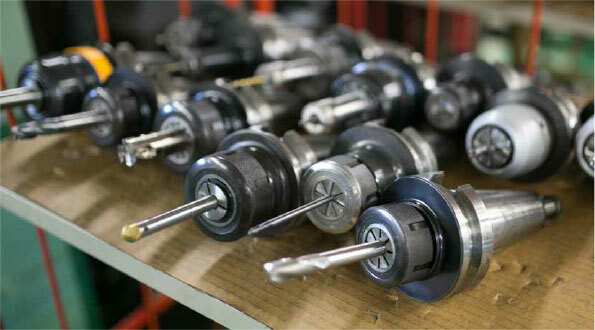 At your worksite that is lined with state of the art machinery, there is a general purpose lathe that looks like it belongs in a museum, well maintained and still in use. Could you tell me why? President Miyazawa: There are actually two machines that have been in use since our foundation. New machines don’t automatically result in better products. There are some cases where movements that aren’t comfortable for the machine, or minute movements that can’t be controlled, produce better results. Depending on the context, an old general-purpose lathe may actually be better suited. What is important is that we understand through experience what machines or jigs are suited for various scenarios. I hear that this is a company that willingly accepts very challenging projects. President Miyazawa: I enjoy the challenges. We have a roster of craftsmen and technicians who are eager to rise to challenges; the harder the challenge, the more eager they are. Just the other day, we received an order for an auto part with a complex shape that was declined by another company. When I went to the technicians to ask if we could accept, while saying “alright, if you say so…” I saw the pure joy in their eyes as they worked. As a result, after proposing a few things to our clients, we were able to produce a product that went beyond the initial order. Where does the company’s passion for manufacturing stem from? President Miyazawa: When I look at the manufacturing sites of the world, I see many designs that pursue functionality as well as design. However, due to the inexperience of the plants or the overreliance on machines, these amazing ideas aren’t fully reflected upon the products; I see many products that are results of compromise of the worksites. We at Shinwa Kosaku have the goal of overcoming these tough orders in order to give the world truly superb products. As professionals who can work in and make proposals in an all-encompassing way with casting and cutting, we find pride and joy in producing, not what the client asked for, but something better than what the client asked for. With the know how accumulated from working with the robot and auto industries of Japan, we want to take on the challenges of people all over the world. This is our own new challenge.